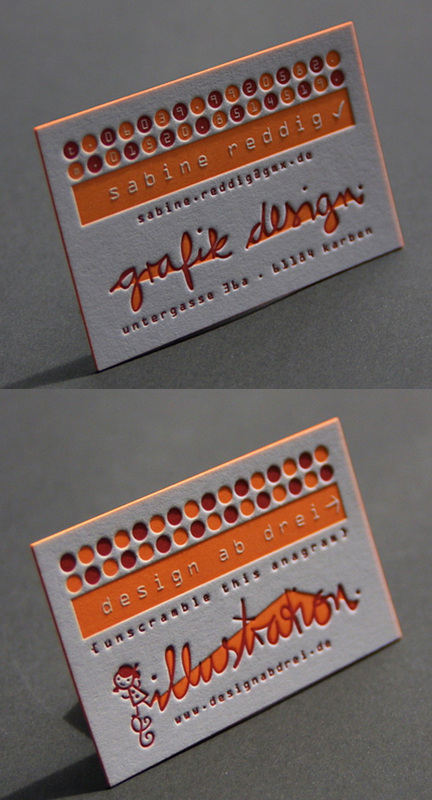 This bold business card design is very attention grabbing. Just two colours have been used for this design, but one, two or three colour designs work very effectively in letterpress. The main design element has been hand drawn which gives a personal and unique touch to the cards. The overall design and bright colours are quirky and cheery, making it hard not to smile and have positive thoughts when you see this card.